This module will help you master effective time management techniques. 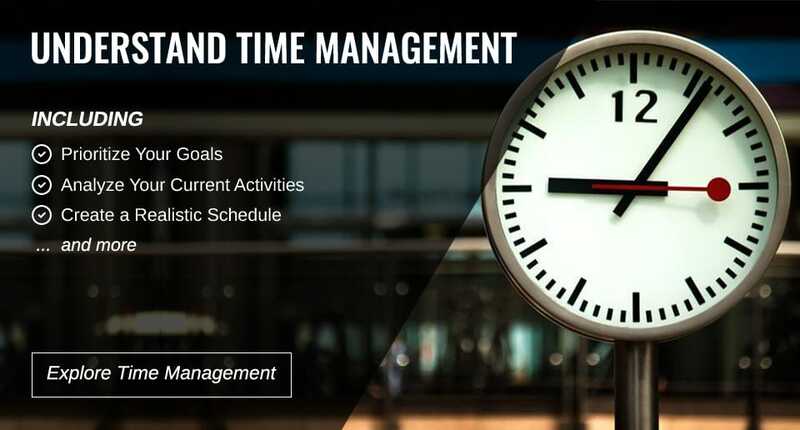 Learn how to analyze how you currently spend your time and pinpoint opportunities for improvement, set goals, prioritize tasks, plan your time efficiently using scheduling tools, control time-wasters, and evaluate your schedule once it is underway. · Recognizing and Defeating Common "Time-Wasters"